We also spent some time in the afternoon practicing Morse Code by listening to various aeronautical Non-Directional Beacons (NDB). Jamboree On The Air, 21st October 2017. GB4BDS, M0EXM, PE2MB/J, GB2LSG, DL3VX, M1EAK, GB2JAM, GB6BBS, M0DZR, GB1HCV, GB5SIS, G8BBC, M0VLN, GB4TSS and K4WZV. Operation was mainly voice using SSB on 40m with a little 70cm DMR. Local CW exchanges were also made on 15m ground wave, something new for this year and much enjoyed by the Scouts. 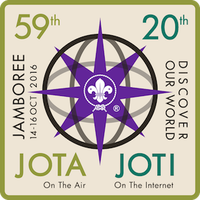 ​Jamboree On The Air (JOTA) took place on Saturday 15 October 2016 at Huish Woods. Operation was mainly on 40m HF, all using SSB voice. Operation on DMR was also tried as a new idea, using the callsign G8PLL DMR#2352196. GB2TWH stands for Taunton West Hatch which is the local Scout Group who organises the local participation in JOTA, hosted at the Huish Woods Scout Camp Site near Taunton, Somerset, South West England. The callsign used, GB2TWH is a special event callsign issued by Ofcom, the independent regulator for the UK communications industries. Jamboree On The Air (JOTA) was running during the 17 & 18 October 2015. Operation was mainly on 40m, all using SSB voice. Beavers and Scouts completed a number of requirements towards their Communicator Badges. Greetings messages were passed to 22 amateur radio stations in the UK, Turkey, Slovenia, Croatia, Czech Republic, Norway, Spain and Hungary. Stations contacted were: TA35AU, G8HXT, G8RZ, GB1WSC, GB0SSW, S52OW, 9A2YM, GB0FRS, GB2SDD, GB2FSR, OK1KVK, LA1JOTA, EC1DD, G3ZST, GB4SFR, GB8CS, GB1CSG, GW0EGH, G3PDH, 9A88AA, HG5ITU and G0KNK. The station was provided and operated by members of the Taunton & District Amateur Radio Society. 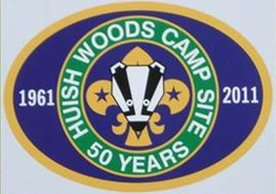 Jamboree On The Air ran at Huish Woods Scout Camp Site on Saturday 18 October 2014 from 10:00 to 16:00. The radio station was operating on the High Frequency (HF) bands using Single Side Band (SSB) radio transmission. The antenna system used was a simple half wave dipole. Greeting messages were passed to 13 amateur radio stations in the UK, Tunisia, Russia and Slovenia. Stations contacted were: GB2WSG, 2E0DYM, GB2WHT, GX4WNR, GB100NNS, M0HEM, M5STC, GB3RS and GB2JAM on 40m. Stations contacted were: UG3G, S59EHI, UA3ADN and 3V8CB/Jamboree on 15m. The radio station and operators were provided by Taunton & District Amateur Radio Society.